This morning I'm going to break a blaster of OPC Platinum. 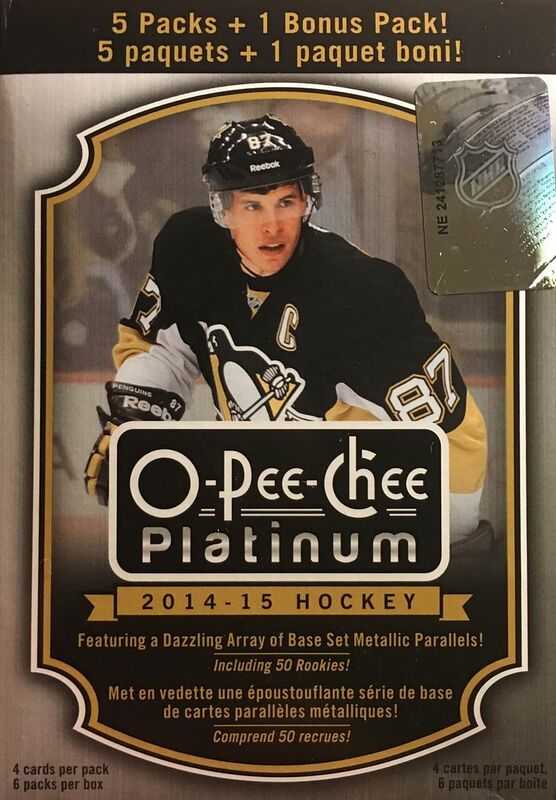 It's a mid-level brand that really makes the base O-Pee-Chee cards shine - literally! There's the possibility of getting an autographed hit, but most likely I'll just be seeing base cards and parallels. OPC Platinum belongs in the Topps Chrome category of cards. 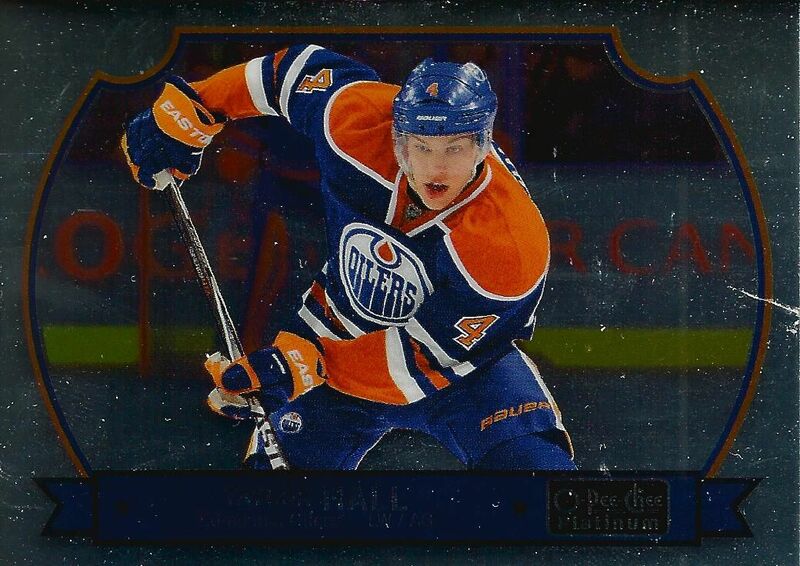 The basic set parallels the regular OPC release - but doesn't do so far all 600 cards. It'd be pretty awesome if it did though! 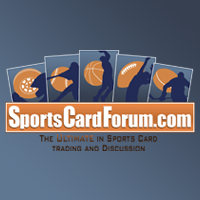 With only 4 cards per pack, you're really not getting that many cards in this break. There was a time when this type of card was all the rage with even base rookie cards holding strong values. Those days are long gone though. The best you can hope for in these blasters is an autographed card. If you're lucky enough to get one it will be of a rookie as that was the primary focus of the autographs in this set. Rare parallel cards are also finds to look for when busting these boxes. There are many different types of parallels, so make sure you know what you've got when you find one. This was a very standard break of OPC Platinum. Most of the cards I pulled were base cards, but I did get some parallels and some retro cards as well. I totally forgot that there were retro cards inserted in this brand. 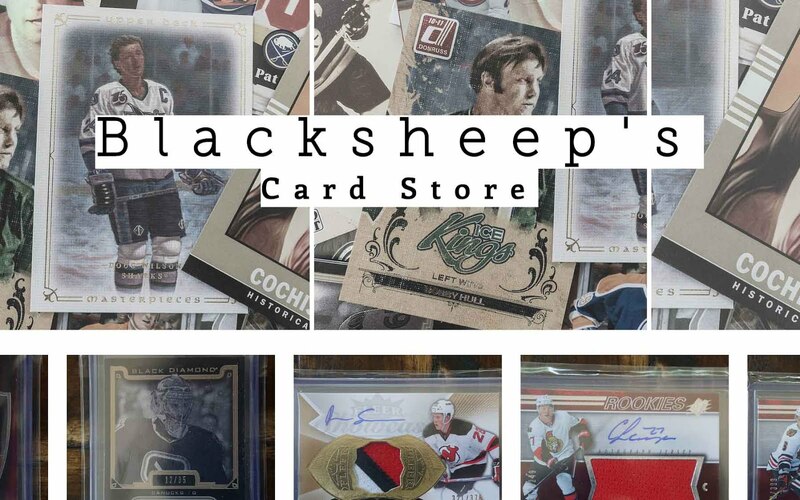 They are actually difficult to call retro because the design and the foil make the cards have a more modern look. There's not really too much to be excited about with this break. 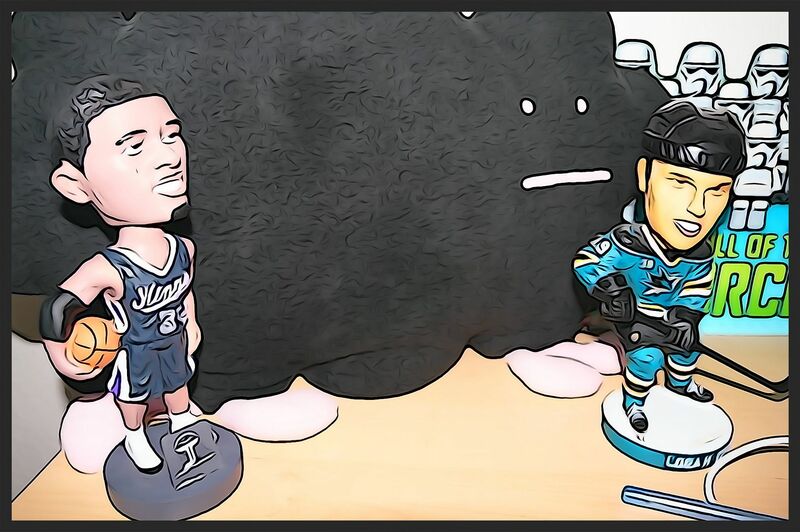 I am happy to get a Sharks rookie card as well as a parallel rookie card. I really wonder if one of these days I'll be lucky enough to find an autograph in one of these blasters. 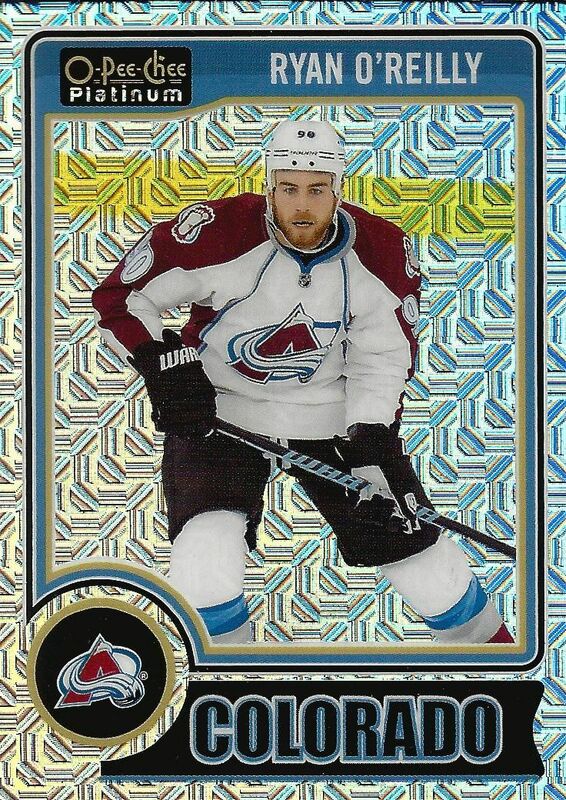 This parallel card of Ryan O'Reilly may not be rare or anything too special, but it does look very cool and was the best looking card in my blaster. Hall may have been my favorite player out of this blaster. It's nice that I was able to get the retro version of his card. The horizontal orientation of the card is actually quite nice. I definitely had to go home team homer this week. 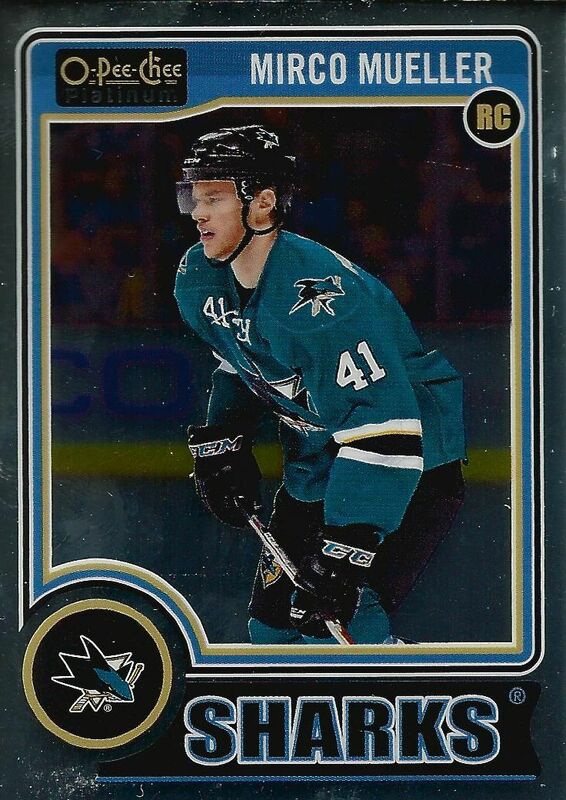 I haven't really gotten many Sharks rookie cards the past few years. I usually go out of my way to get my hands on some. Well, at least I have this Mueller card! Absolutely nothing to brag about with this blaster. It gave me the cards I expected and nothing more. This is not a blaster that would inspire you to purchase more blasters, but the price was right and I do think there are some good cards to be found in OPC Platinum, it's just going to be tough!